Price Reduced $10,000! 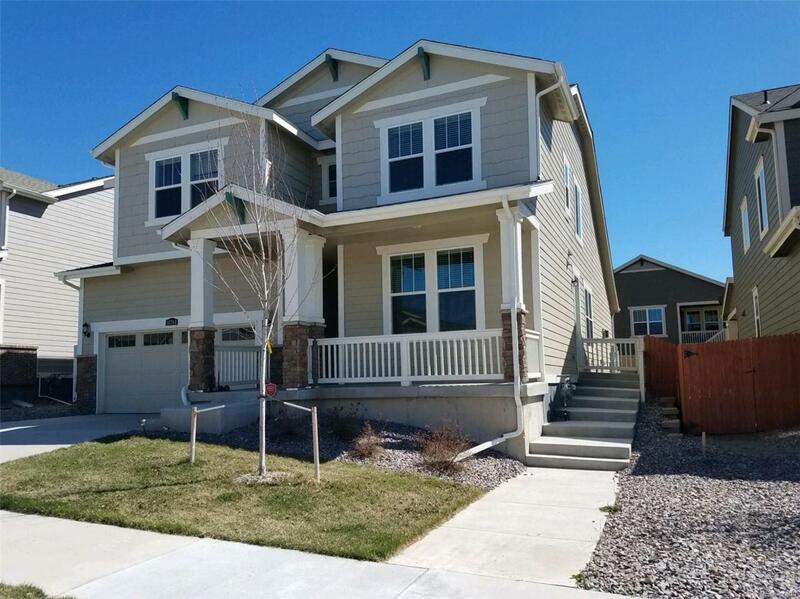 The Chelton floorplan and craftsman elevation is a 2709 sq ft 2 story home w/ 1529 sq ft of additional unfinished basement sq ft. The main home consists of 4 bedrooms, 3 and a half baths and a 3-bay garage. The master suite includes a separate shower, garden tub, dual vanities and a massive walk-in closet for the ladies, while the secondary bedrooms have easy access to a full size jack n jill bath. Mother in law suite with separate kitchen cabinets, refrigerator and brand new microwave. The unique floorplan allows it to be a separate space but also offers direct access from the main house. Enjoy your smart features: Nest E Learning thermostat in Entryway and Floor 2 with smart phone control, Nest Video door bell with smart phone access. Newly constructed 480 sq ft backyard deck using TimberTech composite decking with 25 years warranty for your outdoor entertainment. Don't miss this beautiful opportunity to keep your entire family under one roof. Come & see today! Offered by Professional Brokers Group.